“The Little Star That Could” has been reproduced by Audio Visual Imagineering and Brevard Community College for the digital full dome era with computer graphic animation.This popular and well love d story owned and created by The Saint Louis Science Center over 20 years ago has been updated with accurate astronomical information. Have no fear; the story basically remains the same with all of yo ur favorite stars! 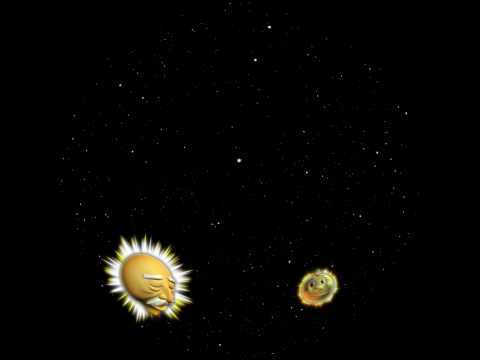 For those of you who are not familiar with the show, “The Little Star That Could” is a story about Little Star, an average yellow star in search for planets of his own to prote ct and warm. Along the way, he meets other stars, learns what makes each star special, and discovers that stars combine to form star clusters and galaxies. Eventually, Little Star finds his planets. E ach planet is introduced to your audiences with basic information about our Solar System. Talented artists responsible for the new show include Mark Howard and Joe Tucciarone of the Astronaut Memoria l Planetarium in Cocoa, FL. Directed by Willie Castro of Willie Castro Animation, Inc. The new musical score was produced by John Avarese of JAV Productions.